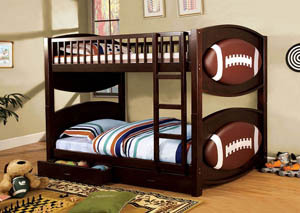 This twin over twin bunk bed has everything for the sports enthusiast! 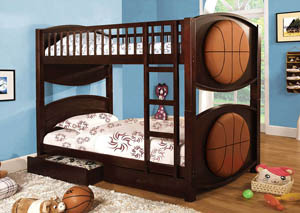 Constructed of solid woods and veneer the headboard and footboard feature a padded sports theme design and is finished in dark walnut. Access to the top bunk is made easy with an attached ladder. 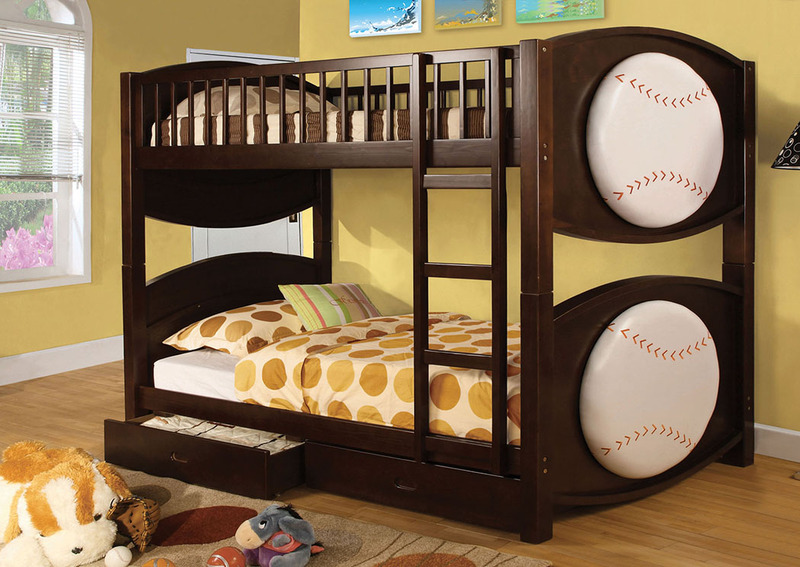 Two drawers under the bottom bunk are included for extra storage.